What is the Da Vinci Surgery Robot? The Da Vinci Surgical Robot is a remote-controlled device that was designed to provide a greater range of movement for surgeons performing laparoscopic surgery. The device has four arms that are inserted into the patient via tiny incisions, and the surgeon uses these arms to view and conduct the surgery. 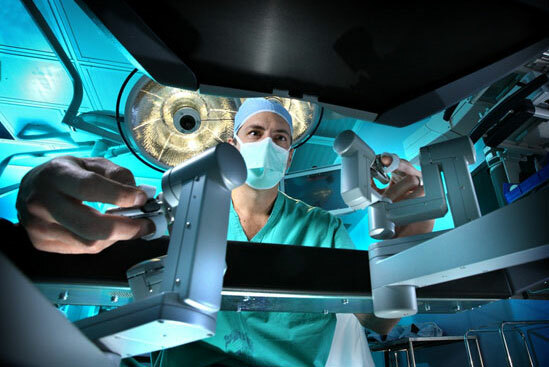 Originally approved in 2000 for use in urologic, laparoscopic, and gynecologic surgery, the Da Vinci Surgery Robot is also used to perform gastric bypass surgery, gall bladder removal, and thyroid cancer surgeries. The Da Vinci Surgery Robot has become increasingly popular since its 2000 debut, due to its promise to deliver less invasive surgery, smaller incisions and reduced recovery time. The Da Vinci Surgery Robot costs hospitals between $1 million and $2.25 million. Annual maintenance expenses come in around $140,000 per year, and there are additional costs for replacement parts. According to a recent report from The Wall Street Journal, Intuitive Surgical, the manufacturer of the Da Vinci Robot, has marketed the device to hospitals as a way for them to increase their revenues and gain market share. Because hospitals invest so much in the purchase of a Da Vinci Robot, doctors are under extreme pressure to use the device, even when the benefits to patients are questionable. The Wall Street Journal report also raised questions about the adequacy of the training surgeons receive on the device. As part of the purchase price, Intuitive Surgical provides a hospital’s doctors with two days of training on the Da Vinci Robot. But physicians interviewed by The Wall Street Journal asserted that proficiency with the technology requires hundreds of cases. Da Vinci Surgery Robot lawsuits allege the device suffers from serious design flaws, including un-insulated surgical arms and use of an electrical current which can jump to healthy internal organs and tissue. Plaintiffs also claim that a lack of adequate physician training can lead to serious Da Vinci Surgery Robot injuries, including surgical burns and organ damage. If you or someone you love suffered surgical burns, organ damage or other serious injuries following a Da Vinci Surgery Robot procedure, you may be eligible to file a Da Vinci Surgery Robot lawsuit. Contact Scovern Law at 1.888.725.1890 to review your case and submit a claim.